Just bought a Canon product? Let's kick start your journey by knowing how we get you covered. 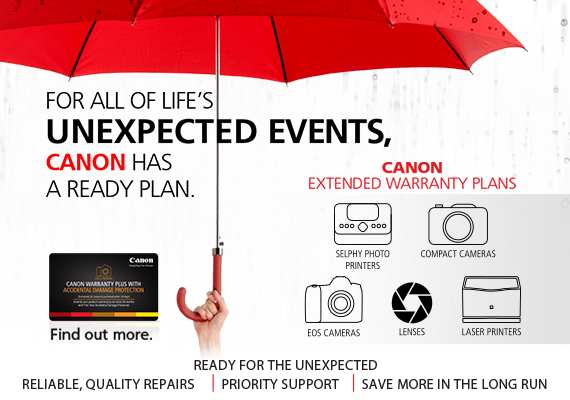 All Canon consumer products come with a standard warranty that covers defects in materials and workmanship. Please note that the warranty is void if the product is defaced or altered. ​Special conditions apply to tourists from outside Singapore. 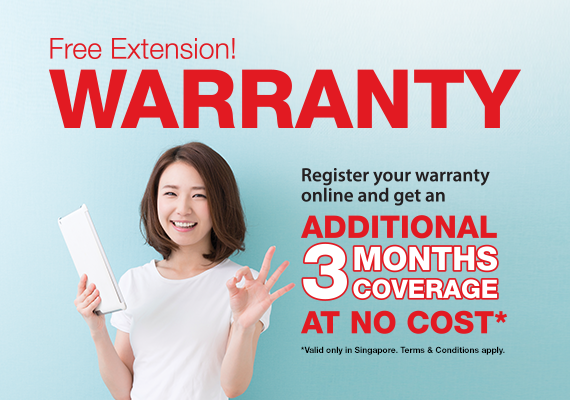 You can extend the warranty by 3 months if you register your product online. In addition it is possible to purchase a warranty extension for some products. For all of life's unexpected events, we have a ready plan to get you covered. *Applicable for Selphy Photo Printers, Compact Cameras, EOS Cameras, LEnses and Laser Printers. Discover how the Canon Asia Traveller Protection Programme can help you.